Hamilton, NEW ZEALAND. USA LW2X. 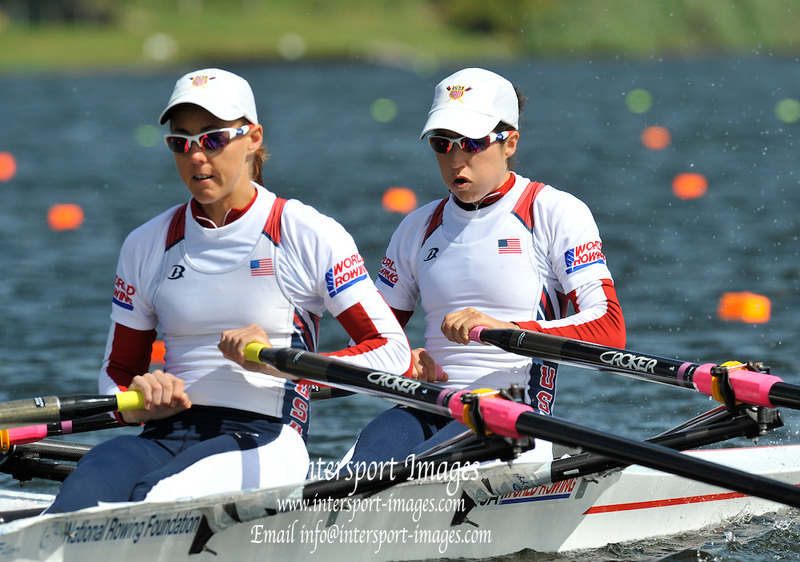 Bow, Ursula GROBLER and Abelyn BROUGHTON, move away from the start in their heat of the lightweight women's double sculls. 2010 World Rowing Championship on Lake Karapiro Saturday 30/10/2010. [Mandatory Credit Peter Spurrier:Intersport Images].